Today’s consumers use the vast information available on the Internet to browse and research every sort of product or project imaginable. When it comes to redesigning the home, one place that homeowners can go to research and gather ideas is Pinterest. This unique photo sharing social network allows you to easily organize a wide variety of design elements. You can sort the pictures of elements you are drawn to, that make you happy, or comfortable, or energized. Whatever goal you have for your home improvement project, Pinterest is a great place to start. Kitchen Views has been on Pinterest for quite some time. Not only do we share some of our own designers’ projects, but also those from some of our favorite cabinetry and countertop manufacturers. We also share interesting design ideas as we find them. Our Pinterest boards are broken down into bathrooms, kitchens, and general home design. With Pinterest, you can also browse complementary elements such as appliances, backsplashes, flooring, lighting and more. By having separate boards for these you can easily organize ideas and products that you like. Also, Pinterest is very good at suggesting pins relevant to your interests. It also bases suggestions on what you’ve already searched, favorited, and pinned. As a research tool, Pinterest can be invaluable as both a discovery and organization tool. It even allows you to upload your own pictures to share. You can use it to complement hardcopy idea books, or you can use it exclusively. Many in the design business use it already and will be happy to see what you have to start from when it comes to your ideas. As a visual aid, nothing really beats Pinterest. 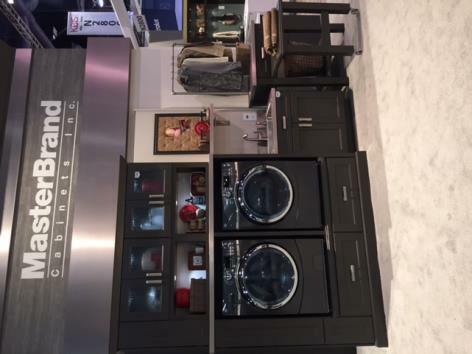 The KBIS show of 2015 was filled with plenty of brands we know and love. All our favorite brands have clearly embraced new technology and used it to make our lives easier. 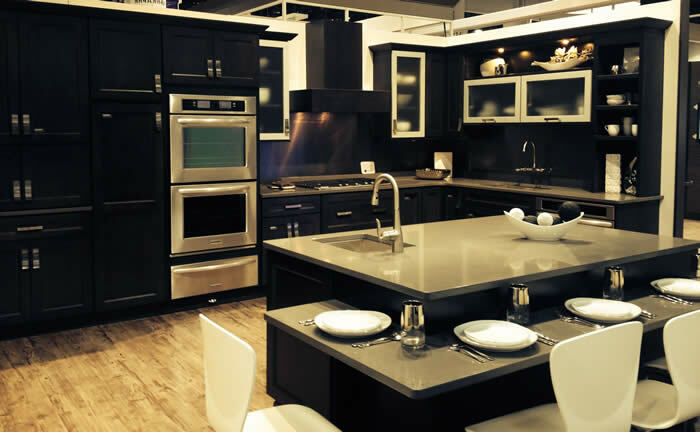 The one take away from this year’s Kitchen and Bath show was that technology is king. Here are my notes from the KBIS 2015 show that demonstrate how technology, design and function come together to better our lives. 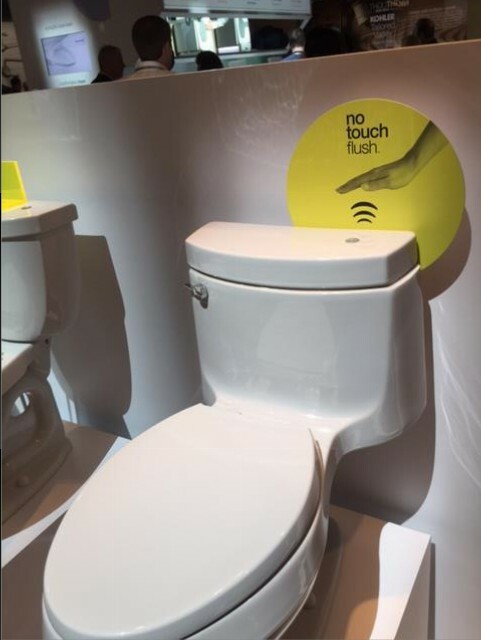 Kohler’s Touchless Flush Toilets — just when you thought a heated seat was the best invention added to toilets, now we don’t even have to touch our toilets to flush them! Tech Top by LG — this was really cool. Just place your cell phone, exercise tracker, glucose meter, heart rate meter, or portable speaker on the LG Viatera or HI-MACS counter surface and your battery will automatically charge! Check out their website http://www.lgtechtop.com/ to get the details and demo. 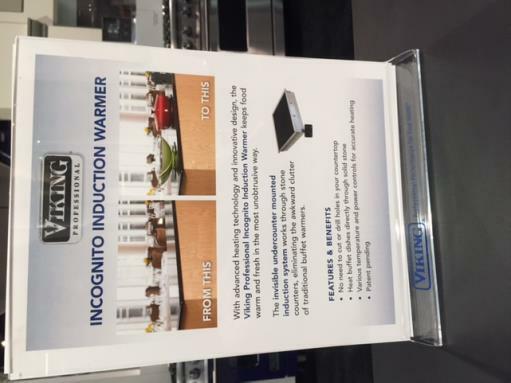 Viking Incognito Induction Warmer — this product installs under any counter surface and cooks through it with induction technology. 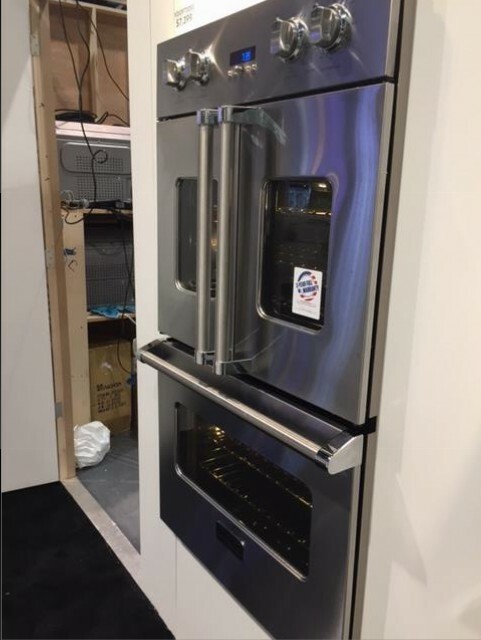 The Viking Professional French-Door Double Wall Oven — this design gives a modern, commercial look to your oven. It matches the current French-Door refrigeration trends and allows users to open using one hand. Perfectly designed for ADA needs. The large convection fan with bi-directional movement allows maximum airflow and excellent cooking results. 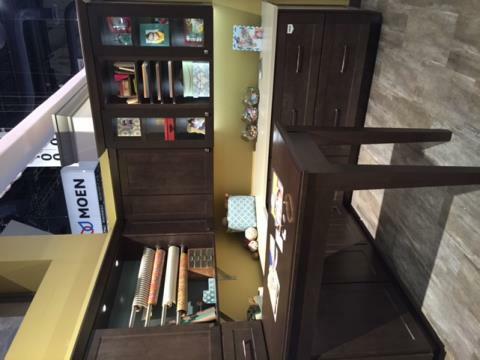 MasterBrand Cabinetry — Omega, Dynasty and Homecrest — these are our favorite cabinet lines and they can be used anywhere. Laundry, mudroom, and craft room are just a few possibilities! A mudroom never looked so good before! Everyone has everything they need ready to go out the door. 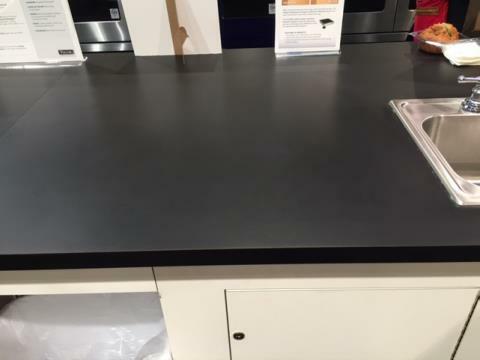 Visit a Kitchen Views showroom and meet with a designer to add these great features to your dream kitchen, or any area of your home. Have you ever thought about the historical roots of the modern kitchen? As with most things in life that we take for granted today, form really does follow function. Born and raised in historic downtown Hingham, Massachusetts, I’ve always had an affinity for elements of architectural design and aesthetics. Researching historic facts of architecture has informed my design ability. There is so much we can learn about ourselves by studying the past and the lessons learned by those who came before us. We are inherently drawn to the source of our nourishment, but most of us don’t think about it consciously. 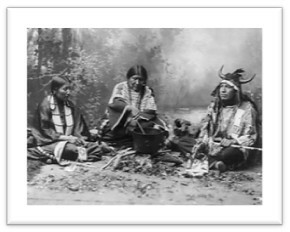 Without a building, we are drawn together around the cooking fire. This shared experience forges emotional ties. Family loyalty is strengthened by these everyday routines. The kitchen is now truly the heart of the home, however, this wasn’t always the case. 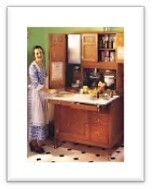 From the colonial period up until the mid-20th century, most kitchens were an afterthought in the planning of a house. They were simple rooms predominantly for food storage and minimal food preparation. They lacked space and no one could say they were “designed.” The cooking methods and tools of the day were primitive, which left kitchens dysfunctional for centuries. 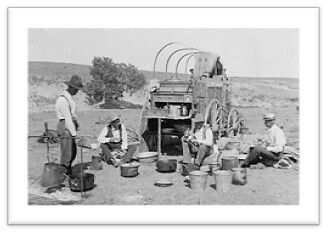 It was not until the late 19th century that iron stoves became commercialized and municipality systems for gas, water and electric became readily accessible. Once these advances took place, kitchens were poised for transition, and the kitchen industry was born. The industrial period led to scientific studies of productivity that considered efficiency dealing with movement and spacing, from which came kitchen design concepts that took into account the process of food preparation. The stove, sink, refrigerator and counter space were identified as key work areas and were now being spaced according to a well-thought-out design for maximum efficiency. 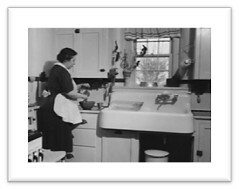 Starting in the 1950s, household work came into vogue depicting the “perfect” middle class household. As a result, even more emphasis was placed in the kitchen. Traditionally, the kitchen had been built at the back of the house, away from living areas. 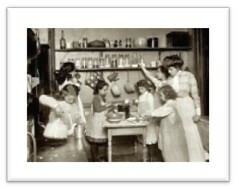 The advancement in technology, flooring, lighting, etc., changed the location of the kitchen within the home. With this new focus on kitchen appliances, and the development of suburban neighborhoods, competitiveness required that upwardly mobile families had state-of-the-art kitchens. “Keeping up with the Jones’” became a way of life. These modern appliances had become both necessities and status symbols. This period of rapid development from the 1950s through the end of the century saw the family gathering place being improved. With homeowners willing to invest in modern kitchens, designers explored color choices and new materials (such as the aqua blue 1960s kitchen shown below), storage options inside the cabinets, and new configurations to eating areas (such as the 1970s picture with seating around an island instead of a stand-alone table). The 1980s saw a change in kitchen layouts, which most people didn’t realize was moving them out of “the heart of the home.” Kitchens began to be designed with work islands in the center, to provide more work space for meal preparations. The kitchen table got pushed to the side, or back into a designated dining room. Individuals went to their bedrooms or a designated family room and/or entertainment area during their recreation time. How many people understood that this physical separation was creating an emotional rift in their family? There is no one factor responsible for the shift in American society. But any honest observer recognizes that we went through a turbulent period with jobs requiring relocation or frequent travel, a rise in the divorce rate and a generation that was out there trying to “find itself.” Perhaps that’s why we’ve finally seen a shift back to the importance of family, whatever form that family takes. 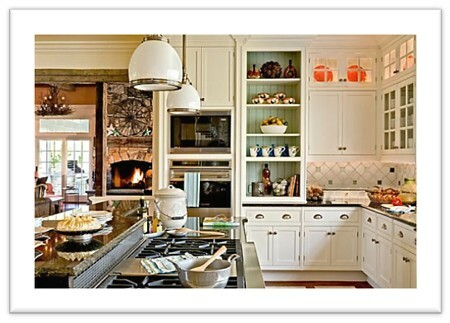 Today’s kitchen is the focal point and gathering place for family and friends. Kitchen islands have transitioned back to include seating for the family to gather in the kitchen, at least for casual meals. The family is also being brought together with the contemporary concept of an open floor plan. This could include a dining area as well as a family room and/or entertainment area. Parents want a line of sight to see small children playing while they do their kitchen tasks. Older children working on homework or playing video games are still “part of the family” instead of off in their bedrooms alone. The family cook may have felt separated from the family, alone behind a wall. 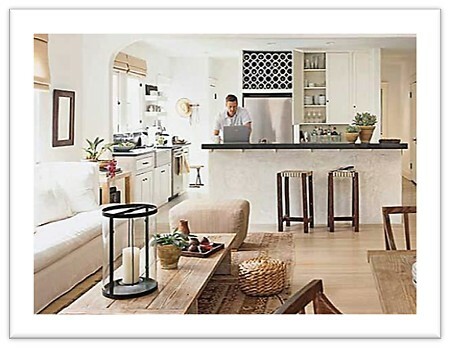 With open concept layouts, the person preparing meals can easily converse with the family. The concept of the kitchen as “the heart of the home” has been expanded to include a larger family living area. It’s where family bonds are made, a place where kids do homework and preparing meals with one another is a pleasant activity. 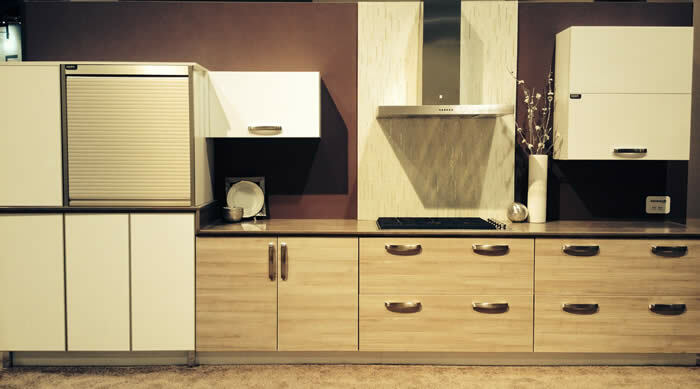 Today’s kitchen is fully integrated into your lifestyle and deserves to be stylish and functional. This open concept kitchen and living area layout is a good example of what we have discussed as a contemporary style. Traditional cabinetry details are included in this contemporary open concept kitchen. This open concept kitchen includes two large islands, with natural flow into the family living area. As you can see from these examples, there are endless variations on the theme of open concept. Your kitchen should reflect your aesthetic and your lifestyle. Don graduated from Wentworth Institute of Technology’s Architectural Engineering Program. He began his career in 1986 hand drafting kitchens for other designers. 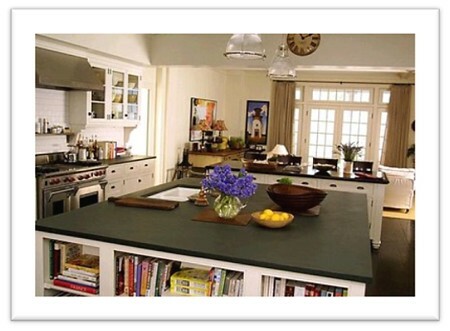 Don’s notable skill in conceptual design has earned him a reputation as one of the areas premiere kitchen designers. WHAT COMBINATION OF KNOBS AND PULLS (HANDLES) IS BEST FOR ME? Some people like the simplicity of using knobs throughout the kitchen. Others, especially in a more contemporary design, will use all pulls. 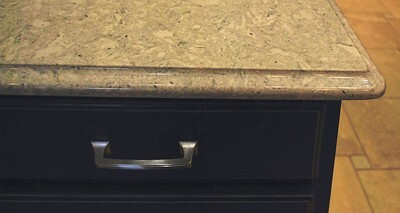 Most folks seem to prefer a combination — knobs on the doors, pulls on the drawer fronts, or vice versa. Also, consider how the pull or knob feels when you pull on it. A pull might look great, but if it doesn’t feel comfortable to you then it will quickly become annoying. One great thing about visiting our showroom is that you can try out the function of decorative hardware that is installed in our inspiring kitchen vignettes. The truth of the matter is that there is no right and wrong here. The deciding factor is what is most functional for your family and looks the best in your eyes. This drawer pull has crisp features that look great. But delicate hands might find this pull uncomfortable to use. WHAT HARDWARE WILL CONTRAST WELL WITH MY NEW CABINETS? Beyond the obvious observation that a highly stylized, contemporary hardware will tend to look out of place on very traditional, raised panel cabinetry, consider what style is currently popular and see if you think they are a good match for your cabinets. Plain chrome and polished brass hardware can look nice on certain styles of cabinetry, but for the most part they have given way to finishes like brushed chrome, oil rubbed bronze, and other weathered type finishes. These should remain popular for years to come, and are not a “trendy” choice like some glass hardware, hardware with inserts, and other styles that a customer might tire of a few years down the road. 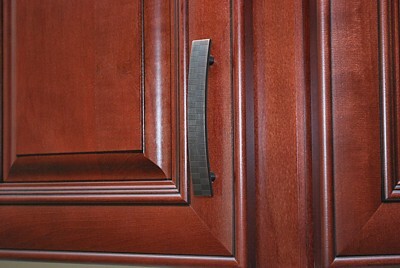 This cabinet pull with curved shape and textured surface works well with traditional or contemporary cabinetry. HOW MUCH SHOULD I EXPECT TO PAY FOR MY HARDWARE? Here the old adage applies, “you get what you pay for”. Don’t be afraid to ask if the hardware you are considering is solid metal or an alloy, of if there is a warranty on the finish. If the hardware is too inexpensive or poorly made, it can literally begin to tarnish in just a few months. Hardware is the finishing touch on your new kitchen, and it can be a focal point that enhances or detracts from the overall appearance you are trying to achieve. As an example, imagine if you will, watching a glamorous actress stroll down the red carpet in an exquisite designer gown, and then seeing that she is wearing obviously cheap dime store costume jewelry. It ruins the whole ensemble. It’s much the same with cabinet hardware. Don’t make the mistake of skimping on the hardware to save a few dollars at the end of the project. The finishing touches make all the difference. 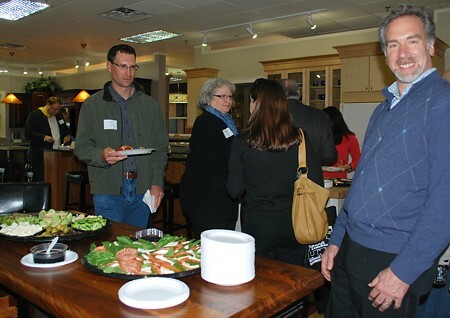 Kitchen Views at National Lumber enjoyed hosting our first EM NARI Networking event on April 16 along with co-host Allstate Glass. Two of our PRO Force salesmen, who specialize in working with remodelers, were there discussing current building projects. Look for more photos in our Facebook and Google+ albums. The night was filled with food, drinks and fantastic company. We had big winners too! Nancy from Masters Touch won a gift certificate to Closet factory. Dave from Home Repairs Carpentry in Norwood won a gift certificate to Allstate Glass, and Dave from Miller Construction won a Häfele tool kit and gift certificate for their product line. But the biggest winner is the EM NARI scholarship fund. Annually, a scholarship is awarded to an immediate family member of an EM NARI member who is a high school graduating senior who has been accepted as a full-time student to an accredited college or university in any program of study. Thanks to everyone who attended we collected $800 for the scholarship fund. Builders had a chance to see many of the new products going into kitchens now. Many of them feel the market for remodeling is strengthening. Adding these products to any renovation is sure to add value to a customer’s home. 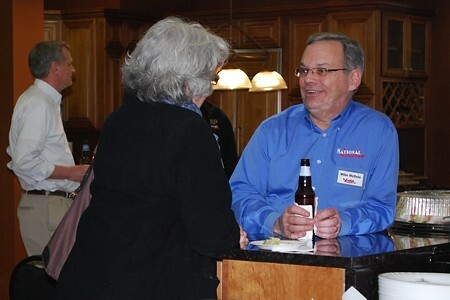 Mike McDole, National Lumber’s Senior Vice President of Sales, speaking to a guest at the EM NARI Networking Event in the Kitchen Views showroom. We are looking forward to another networking night! We invite you to check National Lumber’s website Events page, national-lumber.com/events, periodically to see what’s coming up. In the meantime, we invite you to visit a National Lumber location near you to find out about the PRO Force Remodelers program. Feel free to visit a Kitchen Views at National Lumber showroom and speak to one of our designers about your next project. I enjoyed attending Design and Construction Week February 3–6, the combined 2014 IBS and KBIS show in Las Vegas, with some of our top customers. It was a terrific opportunity to show them the latest products and trends, plus enjoy the fine food and hospitality of Las Vegas. 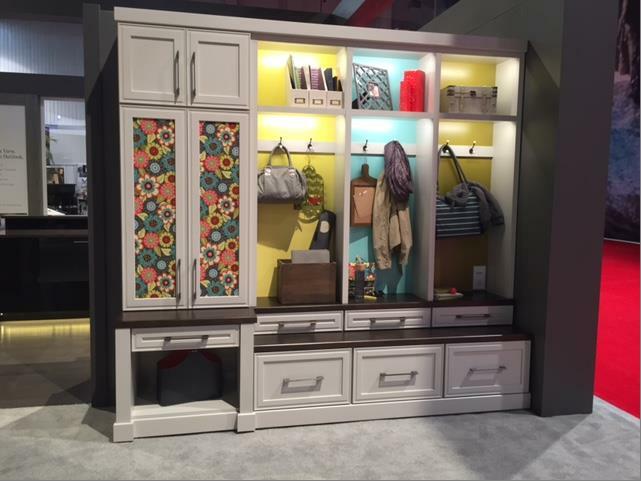 Style trend to note – most of the displays show flat or recessed panel doors. Raised panel is no longer in demand. I want to mention that Omega now has stainless steel inset doors. They are inset into a wood frame which would prevent the doors from sticking during high humidity levels like wood doors. 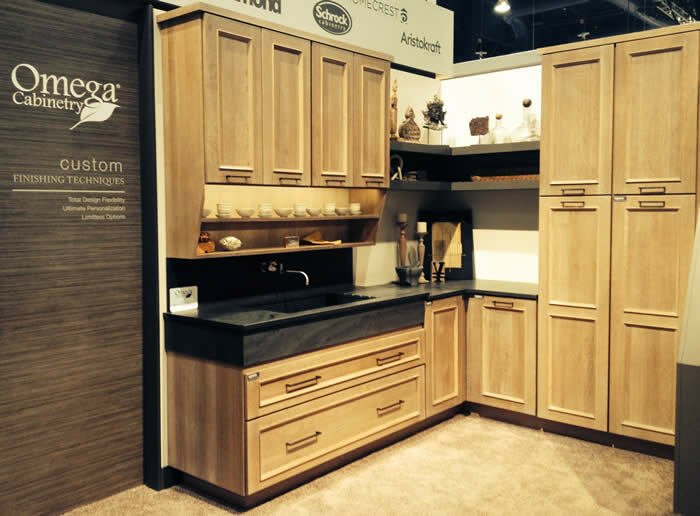 Omega display at 2014 KBIS of CALDERA cabinetry with some flip-up doors. We also checked out the flip-up door. It has a mechanical device so that when a button is pressed, the flip-up door automatically closes. This is great for shorter people who can’t close the flip-up door once it is open as the handle is too high. Our time at the show flew by quickly. Since there is so much to see, it helps to have a plan or at least a list of top things to see. If you’re a builder interested in attending next year, you may want to consider going for an entire week so that you can enjoy all that Las Vegas has to offer, and spend maximum time on the show floor. Until then, or for homeowners looking for inspiration, we hope that you’ll visit one of our Kitchen Views showrooms to see our cabinetry vignettes that display a wide range of styles. Contact Kitchen Views at 1-508-DESIGNS (337-4467) to arrange a personal consultation with a designer who will guide your design journey to a new kitchen you will enjoy for years to come. 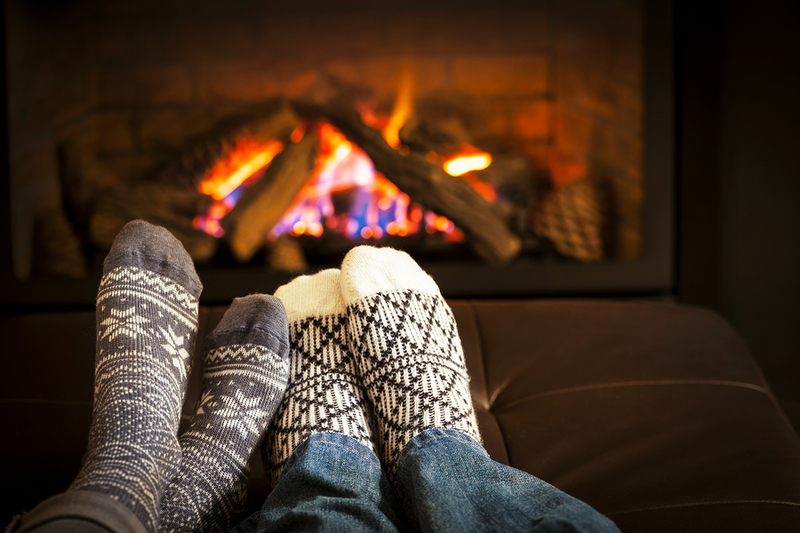 With days more of arctic cold forecast across New England, many of us will be keeping cozy indoors. To help pass the time, Kitchen Views has several PDFs of our design magazines available on our website at http://www.kitchenviews.com/magazine/index.html. You might also like to look through our True Stories section and see videos of our clients talking about their design journeys with Kitchen Views.